BRANTFORD: The Oxford Attack Under-14 Major Bantam Girls team took 3rd place out of 14 teams in an O.B.A. sanctioned basketball tournament in Brantford. The Attack opened pool play against the Ancaster Blitz and came out on top of a hard fought 42-33 victory. Madison Sousa and Brianne Kunderman led the Attack with 10 and 8 points, respectively. The Attack next played the London CYO Lynx and dominated play from the opening tip winning 58-15. Olivia Kirkwood and Emma Chevers had 7 and 4 points, respectively for the Attack. The Attack girls then began crossover pool play versus Brantford CYO Falcons #2. Scoring was arduous as both teams played various types of zone and full court pressure defenses. The Attack held on for rugged 36-31 win. Hannah Cowan and Jaime Oliver netted 10 and 5 points, respectively. The Attack moved onto the semi-final versus the Windsor Valiants and lost a hard fought battle 41-24. Windsor is a top 10 team in ON and went on to win the tournament finale with ease utilizing their trapping 1-3-1 zone defense. The Attack started the game with a 5-0 lead versus Windsor and continued to hold a one point lead after the first quarter. Windsor turned the Attack over for a few easy baskets in the second quarter and also shot well from 3-point range throughout the game. The Attack’s full court arrow press and 3-2 zone defense kept the score relatively close, holding Windsor to their lowest point total of the weekend. The Attack struggled from 3-point range and did not shoot their free throws as well as they did in earlier games. 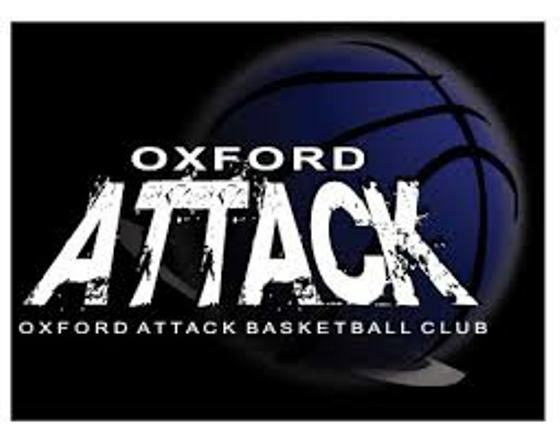 Next up for the U-14 Attack girls is the Oxford Attack Basketball Club’s inaugural home O.B.A. sanctioned Under-14 Major Bantam Girls tournament to be held at St. Mary’s High School in Woodstock on January 22nd – 24th. 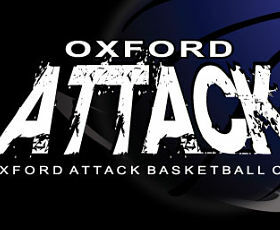 The Attack girls play Friday January 22 at 6:00 pm and finish pool play on Saturday January 23 at 10:30 am.